At Creative Folkestone, your privacy is important to us and we are committed to protecting your personal information. • who we share your personal information with. • companies who supply goods and services to us. 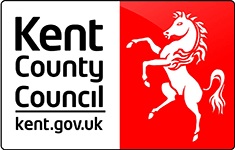 For the purposes of this privacy notice, the data controller is Creative Folkestone, Quarterhouse, Mill Bay, Folkestone, Kent CT20 1BN. We have also set out contact details at the end of this notice. Creative Folkestone is a company registered in England & Wales, company no. 4566484 and a charity registered in England and Wales with charity no. 1105174. We collect your personal data at the point when you are first in contact with us. This could be in a number of ways including when you buy a Quarterhouse ticket from us; sign up to receive communications from us; apply to become a Creative Quarter tenant; become involved in a festival or performance as an artist; or book a place on a workshop. We also collect your data if you subsequently update it when you communicate with us. We do not keep your data if it is provided to us by a third party. We may also collect your data from publicly available sources such as social media, your company website or Companies House. • your attendance at our events. • school year or key stage. 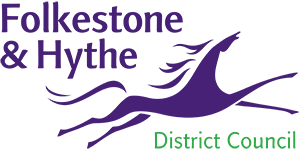 • your year of birth, nationality, gender or other biographic information that is publicly available or provided to us for the purposes of providing contextual information for cataloguing work that has been supported by Creative Folkestone. If you do not wish to accept cookies, you can change your browser’s settings to prevent it from accepting them. However, please note that disabling cookies may make our website less friendly to use. We may record and share the information that you post publicly on social media platforms such as Facebook, Instagram, LinkedIn and Twitter. We use the data we collect to provide you with products and services we offer. Depending on preferences you have expressed, this may include communicating with you about forthcoming Quarterhouse programmed events; Open Quarter; festivals; Folkestone Book Festival; or Folkestone Triennial. • we have legal or regulatory obligation to do so, or it is necessary for the establishment, exercise or defence of legal claims. • communicating with you by telephone, text, email and/or post (in accordance with your preferences) in your role, if applicable, as a member of Creative Folkestone staff, a trustee or volunteer; or as an artist; or as a tenant; or as a supplier to Creative Folkestone. Each year we supply anonymised Quarterhouse audience data to Audience Finder, a national audience data and development programme developed and managed by The Audience Agency, funded by the National Lottery through Arts Council England, to provide insight into our audiences so we can better understand and improve services we provide to audiences. From time to time we process data on behalf of our partners, acting solely as a data processor, to provide them with a ticket booking facility for their events. If at any time you do not wish us to hold your information please refer to section 5 of this notice which outlines how you can contact us to change your preferences. We want you to be completely happy with the ways in which we hold and use your personal data. You have the right at any time to stop us from holding your information or from contacting you about our activities. • ask that we stop holding or processing your personal information, including objecting to our processing based on our legitimate interest and by withdrawing your consent. Please note that these rights are not absolute and there may be instances where we are not able to comply with your request, for example if certain activities are necessary in order to provide a service. If that is the case, we will explain to you why we need to hold your information. Creative Folkestone uses robust technological solutions to shield your data from unauthorised access, providing real-time protection from the latest viruses, ransomware, malicious software and hacking attempts. We also have appropriate security procedures in place for the storage and disclosure of personal data so as to guard against loss, damage and unauthorised access by third parties. We will only hold your personal information for as long as is reasonably necessary for the purposes set out in this Privacy Notice and to fulfil our legal obligations. The retention periods will vary depending on the purpose. For example, if you make a card payment we will only hold your card details while the payment is being processed. However, for most purposes we will keep information for seven years, or until it becomes inappropriate to do so, or you request we delete it. For further information on how long we keep your personal information, please read our Data Retention Policy. Much of the data we hold is stored in-house on paper or on our file server. The exception is our Box Office data which is stored “in the cloud” for us by a third party company called Spektrix, which is a trusted data processor. The Spektrix data centre is in Milton Keynes, not overseas, has strict security measures in place, and offers flexibility, functionality and reliability. We also use an online company, again a trusted data processor, to send bulk emails to our mailing lists. Otherwise, Creative Folkestone does not share your data with third parties. All postal distribution to named people is carried out in-house. However, from time to time we may be required or authorised by regulatory or governmental authorities to share personal data, for example in the case of court orders. If in the future we did wish to use a third party, for example to assist with marketing, we would carefully select trusted data processors to deliver our services, and they would be bound by data sharing agreements to ensure that they treat your data with the same care and respect as we do. This Privacy Notice was last updated on 22 May 2018 and will be reviewed annually or in response to further advice from the Information Commissioner’s Office. If we update the Privacy Notice in the future, we will notify you and post the revised document in the Privacy Notice section of our website.